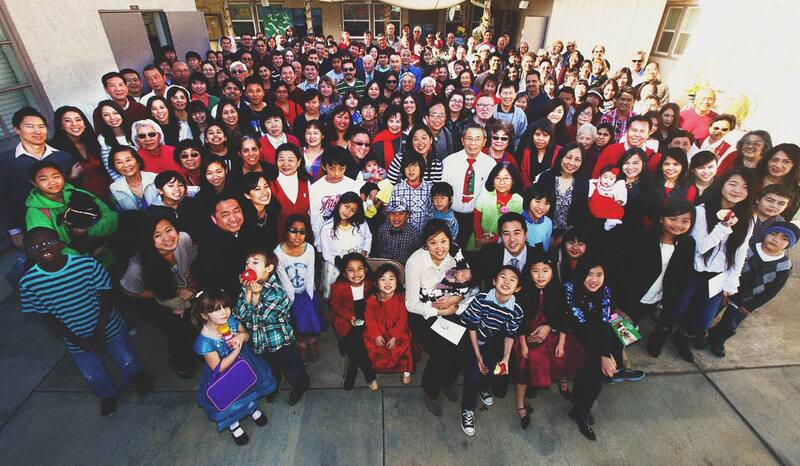 Our church’s story began in 1927, when members of the First Church of the Nazarene in Los Angeles set out to fulfill Christ’s mandate to “make disciples of all nations” by starting a Sunday School class for the local Chinese community. Church members would travel through the neighborhood every Sunday morning and invite immigrants from China and Hong Kong to church. In those days, most of those who came were children and teens. Classes were held in the church basement and later moved to the second floor of the 7th St. wholesale market. Eventually, the congregation grew to such a size that the wholesale market facility could no longer accommodate it. In 1944, they purchased a house on the corner of 21st and Trinity Street and put up a sign reading, “Chinese Mission.” Rev. Peter Kiehn preached at the Sunday services until 1946, when he and his wife returned to China to continue their missionary work there. In 1946, Rev. Wilbur Lee, who was bilingual in English and Cantonese, assumed leadership. The congregation became known as Chinese Church of the Nazarene. During Rev. Lee’s tenure, the congregation grew rapidly and crowded the small building. Some Sunday school classes were held on the stair steps or even inside of members’ cars. On June 29, 1950, the church was formally incorporated and became First Chinese Church of the Nazarene. By the late 1940’s it was apparent that the church needed larger quarters. It was proposed to construct a building that could accommodate up to 300 worshipers. An empty lot on the corner of Jefferson Ave. and Trinity St. was purchased with a small down payment. Ground was broken for the new church building on November 26, 1950. The church building was built at an estimated cost of $35,000 raised from contributions and proceeds from the sale of the building at 21st and Trinity. As the years went on, the surrounding neighborhood changed. The population had become predominantly African-American, Hispanic, and Latino. Our then pastor Rev. Charles Crosby was aware that Monterey Park had a significant Asian-American population and felt the church would have a stronger future if it relocated there. In 1977, the congregation made the move to Monterey Park, sharing an existing facility with a Nazarene church which was experiencing declining membership. That congregation eventually disbanded and by God’s grace, we assumed ownership of the property, grateful for church’s our new home. We changed our name to Trinity Church of the Nazarene, in memory of our former location near Trinity St., and to reflect our desire to welcome all ethnicities. In late 2015, Trinity began exploring a potential merger with Hillside Community Church in Rowland Heights. After experiencing several years of growth, Trinity’s attendance had begun to plateau due to overcrowding and limited facilities. Struggling with insufficient parking, classrooms, office space, and a small sanctuary, the church was looking for creative ways to expand its ministry. Meanwhile, Hillside was searching for a new pastor but had been unable to find a suitable candidate. Our pastor, Rev. Albert Hung, along with Los Angeles District Superintendent Greg Garman and Rev. Sam Chung, pastor of Hillside Community, proposed that Trinity “adopt” Hillside and become a multi-site church with a common vision, leadership team, and budget. Both churches enthusiastically supported the idea, and on April 10, 2016, our combined membership overwhelming voted in favor of the merger. Trinity sent a team of experienced, mature believers to the new Rowland Heights Campus to help revitalize the church’s ministry to the community. At the same time, the move freed up space at the Monterey Park location to allow for new growth. 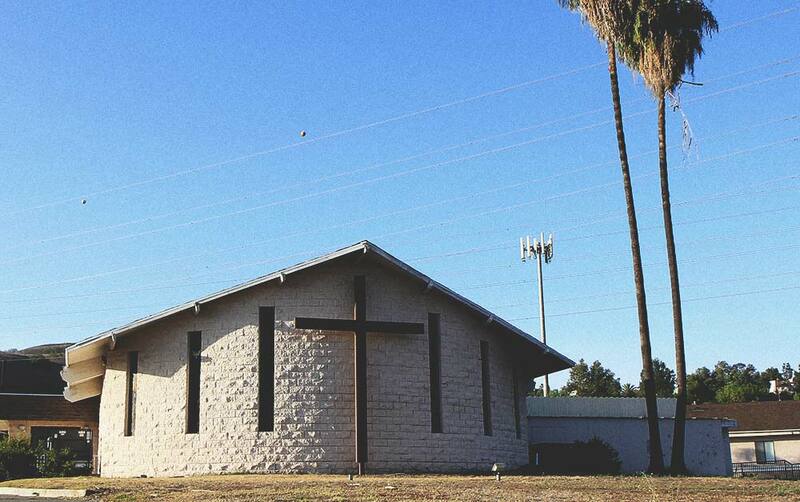 The story of Trinity Church – Rowland Heights Campus began on February 1, 1976, when Reverend Jim Goss started holding worship services in a simple farmhouse at 2804 Fullerton Rd. The new church was known as Rowland Heights Church of the Nazarene. Under the visionary leadership of its pastors and can-do attitude of its members, the church grew in attendance and influence in the community. Many people were brought to faith in Christ. Additions were made to the main building and a Family Life Center was constructed. In March of 2006, the church was renamed Hillside Community Church of the Nazarene. In the years that followed, the church launched a Christian preschool as well as ministries for the Chinese, Spanish, Korean, and Filipino communities. Hillside was well-known in Rowland Heights for its popular annual events such as “Eggstravaganza” (Easter Egg Hunt) and Harvest Festival in October, often drawing crowds upwards of 600 people. The church also earned a favorable reputation for its support of local elementary schools. On April 10, 2016, the membership of Hillside Community Church voted to unite with Trinity Church of the Nazarene to become a multi-site, multi-cultural church with a common vision and leadership. Today, the church is known as Trinity Church –Rowland Heights Campus, and continues its commitment to help people from all nations find life in Jesus Christ. As the first mission to the Chinese speaking community in the Church of the Nazarene, Trinity holds a unique place in our denomination’s history. Our previous Lead Pastor, Albert Hung, believed that we must build on that legacy by becoming a multiplying church, where disciples make disciples, leaders train leaders, and churches plant churches. We believe God led us to relocate to the San Gabriel Valley for a reason. Therefore, we are working hard to become a multi-generational, multi-ethnic, and multi-lingual church that reflects the diversity of our community and is welcomed as a vital partner in our city’s future. We believe the gospel ought to be good news for everyone, not just for believers. We want to be a church that loves unchurched people, and to be a church that unchurched people love to attend. We love Jesus. We love the people of this city. And we believe that God has called and empowered us to change the world for the better, one person at a time.